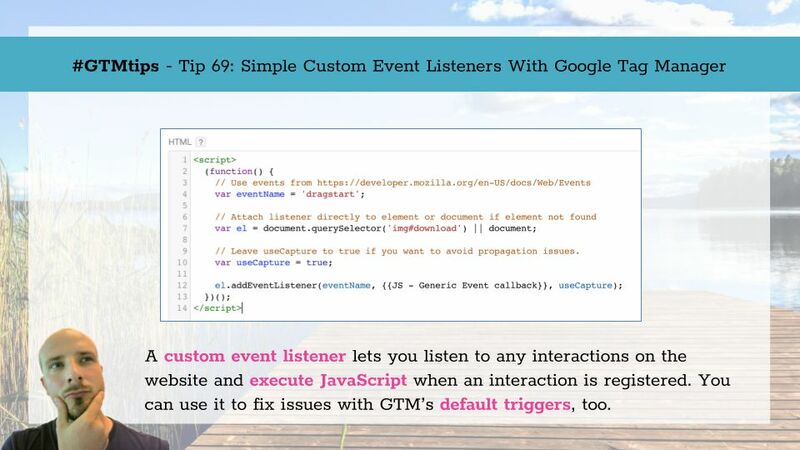 With Google Tag Manager, there are a million different ways to make your tagging setup leaner and more flexible. The reason this should be a priority is because the UI isn’t perfect. The more tags you have, the more difficult it becomes to manage your assets. 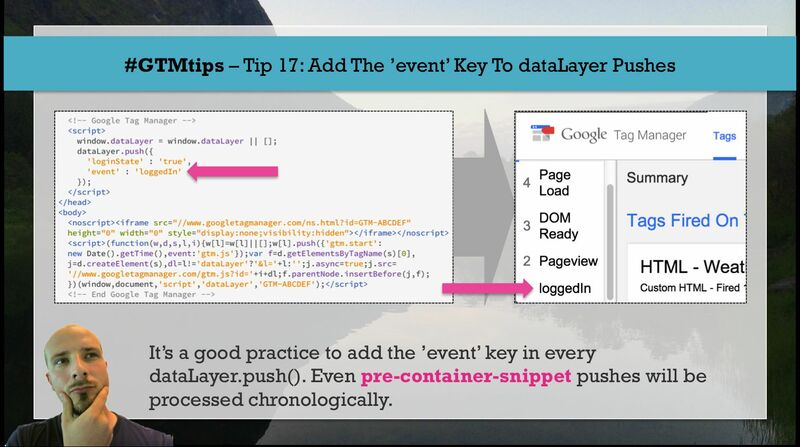 In this #GTMtips post, I show you one of my favorite ways to put your container on a diet. 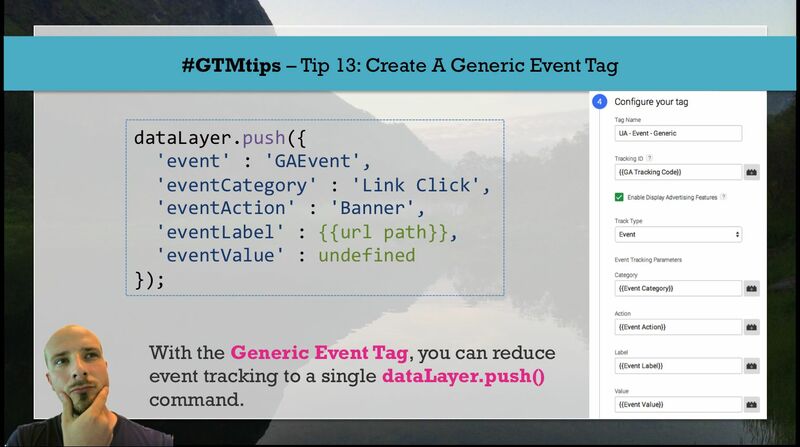 Tip 13: How to create a Generic Event Tag I’ve seen a lot of containers that suffer from the same problem.